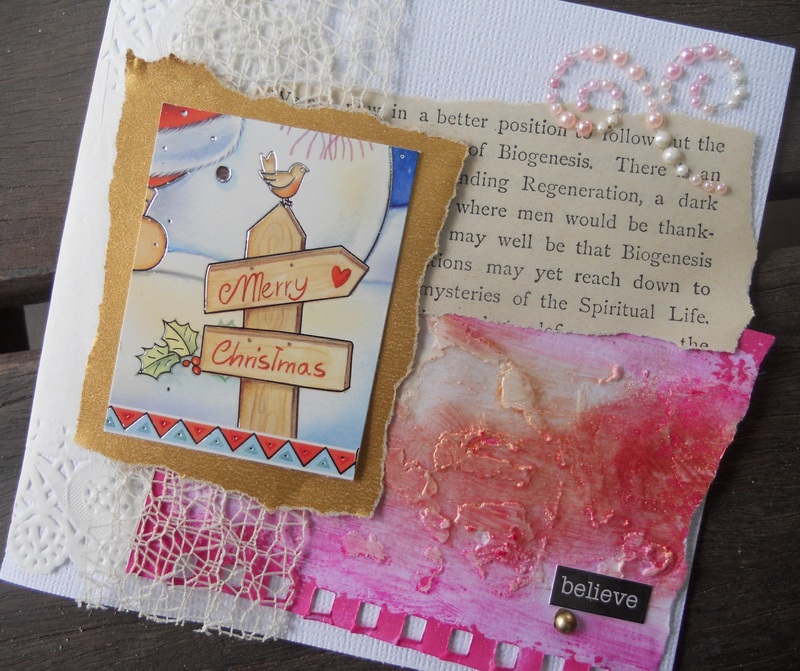 My Christmas card inspirations come from Jot Magazines’ Mood Challenge Board 11. I’m loving the technique I experimented with, especially the Grunge Paste and Perfect Pearls. More of the Christmas cards I made can be found here. Below is one of the cards.